Digerati Blog: Modern website design trends - what's everyone doing at the moment? Modern website design trends - what's everyone doing at the moment? No-one wants to be stuck in the naughties – so I thought I’d give you the TOP 3 recent web design trends strutting the internet’s catwalk. Just like with clothes, there are the pioneers and early adopters and then slowly the pack follows. Here are some of the trends that have been around for a few years now but are being adopted by the vast majority at the moment. Every website I land on at the moment that has had a re-design has adopted these three trends. Historically, web design was all about being ‘above the fold’. The aim was to get all the information needed into the space before the bottom of the typical screen, because “nobody likes to scroll”. Now however, with the mass adoption of smart phones, tablets and all the ‘i’ devices, scrolling is by far preferred over clicking. If you think about it, it is much easier to flick your thumb up and down to see different sections of information rather than to go on a click-journey and burrowing your way into a website’s content. And because websites are smarter than ever, they can now dynamically ‘fill the screen’ – and so they can go as wide as the screen they are being viewed on. This means modern websites will be ‘full screen’, usually with a big image taking up the majority of the viewable area. The homepage of a modern website will scroll through various ‘zones’. This is to help you to visually see the different sections of information and still get what you need quickly. These will usually be distinguished by blocks of colour, and each section will likely be a summary and link you through to the area you want to go. It means that the majority of key information is now on the homepage without it feeling cluttered and confusing. Like with the new Digerati website, to help visitors to remain engaged and centre on the right pieces of information, as you scroll down some content will dynamically load or be animated to draw you eye. 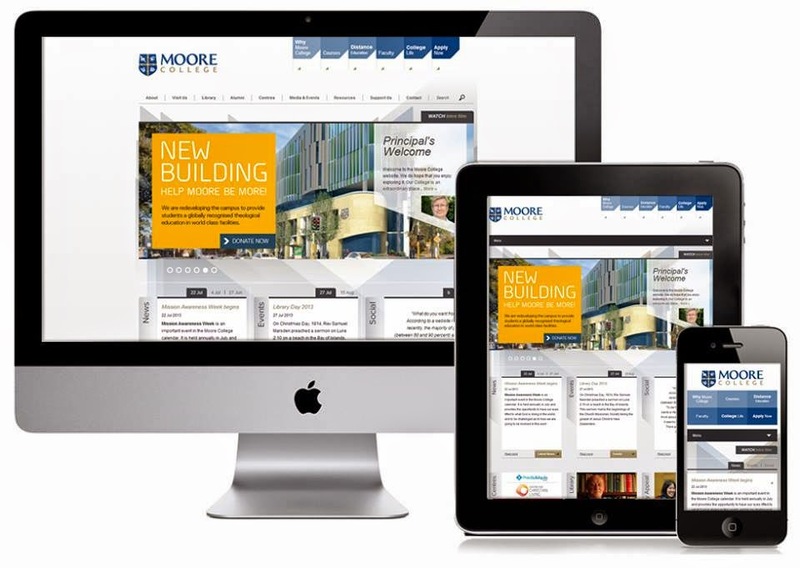 We’ve harped on about this for a while at Digerati, but let me reiterate – modern websites are responsive. This means there isn’t a separate mobile design, instead the website design will ‘respond’ and change depending on the screen size – from the largest desktop screen, to laptops, through the various tablet devices, and down to the different sized mobiles. The website design should be optimised to work on all these scales to keep the user happy. Keep in mind, some people hold their tablet upright (as in portrait orientation) and some hold them landscape. Some people have teeny-laptops that they work on all day and others sit behind a screen that should really be classed as a TV. Web designers want happy users – and the only way to please everyone is to change the display of a website depending on the screen-size. At Digerati, we love these new trends because they are simple, professional and user friendly. They allow for good design and exciting new technology to be utilised simultaneously. It brings together our love for making things user friendly and client focused, without it needing to be ugly. If you’d like a homepage that grabs people visually within seconds AND keeps them because it answers their key questions, then chat to the Digerati team about bringing your website into 2014!